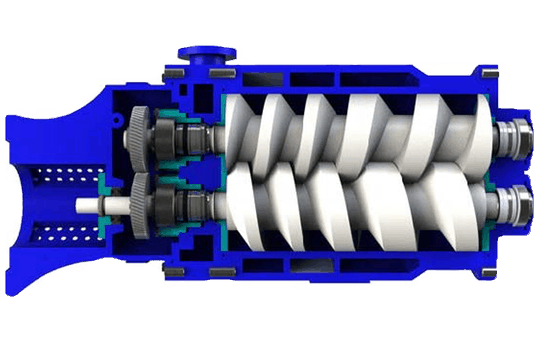 The new BDRY dry screw high vacuum pumps operate completely dry and without mechanical friction between the various components. 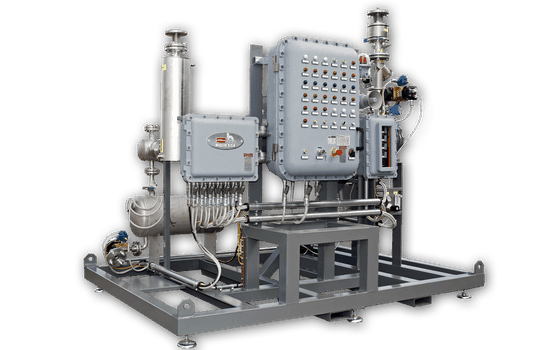 All internal parts in direct contact with process gases are coated with special materials to prevent the internal corrosion of components and any contamination with oil or other operating fluids. Different coatings are available to satisfy all types of applications. Primary user sectors: Chemical industry, Pharmaceutical sector, Oil treatment systems, Vacuum resin impregnation. 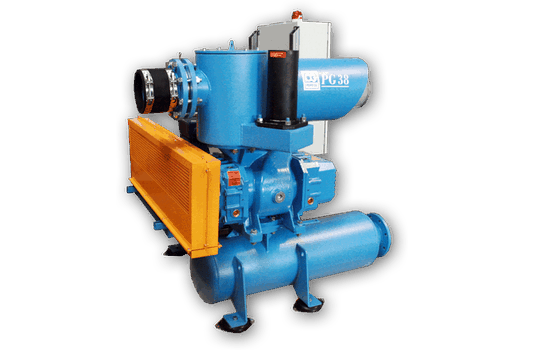 The new BDRY dry screw high vacuum pumps BDRY-V differ from BDRY series pumps for the profile and the position of the drain. They are designed for liquid draining efficiently and used for harsh processing with lot of entrainment, dust, powder. The new BDRY-V dry screw high vacuum pumps operate completely dry and without mechanical friction between the various components. 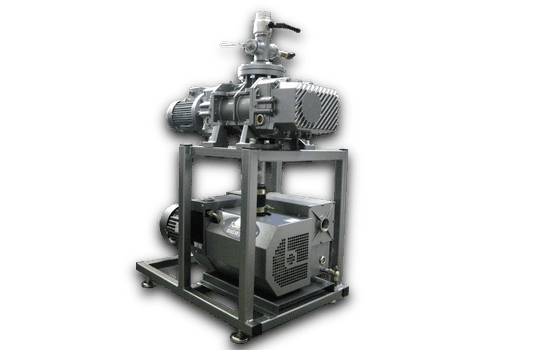 High vacuum process systems with screw dry pumps / screw dry pumps in series with roots vacuum pumps. Primary user sectors: chemical – pharmaceutical sectors, distillation, drying, evaporation, freeze drying, centralized vacuum for laboratories, processing of plastics, extrusion, stamping, petro-chemical, electro-mechanical, metallurgy and food industries. 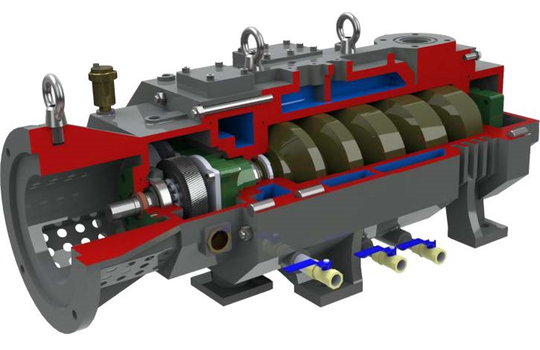 High vacuum pumps with rotating pistons have an elevated pumping capacity, both under high and low operating pressures. The triplex piston design is practically free of any vibrations. All models include a positive pressure lubrication system to ensure reliable lubrication at all pressure levels. The ballast valve is included as standard equipment for the treatment of condensables. Primary user sectors: metallization, tempering furnaces. Roots type pumps belong to the group of positive movement pumps. The pistons are driven by a series of gears synchronized with the rotation, guaranteeing free rotation without mechanical friction. Roots type pumps have a wide range of vacuum applications. They are preferably used in combination with a series of pumps (screw pumps, vane pumps, etc.) and are designed for a wide range of vacuum applications. 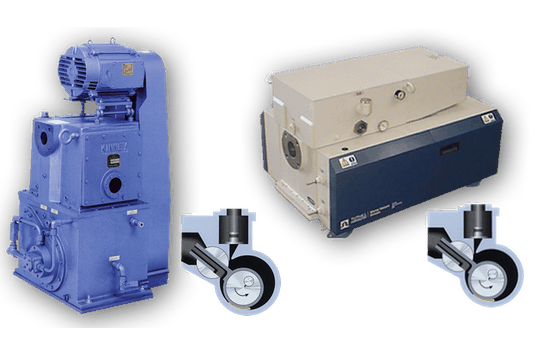 Rotary piston compressors/blowers can operate with differences in pressure up to 800 mbar. They can be operated continuously without thermal and mechanical overload, and do not require valves, regulators, overpressure valves or cooling systems. Primary user sectors: pneumatic conveyors, dry blowing, aeration of liquids.